car2go parking is available at The Parking Spot, located next to the Austin International Airport. car2go parking is available at The Parking Spot, next to the Austin Bergstrom International Airport and costs just $7.50 (plus tax) in addition to the cost of your trip. From there, you can use the free Parking Spot shuttle to get to and from the terminal. It costs just an additional $7.50 (plus tax) for trips to and from The Parking Spot. Enter the lot at 1600 Texas Hwy. 71 East, Austin, TX 78742. Stay to the right and pull through the Self Parking Lane. You must end your trip- no stopovers are allowed. Stay at your vehicle and the shuttle will come pick you up. 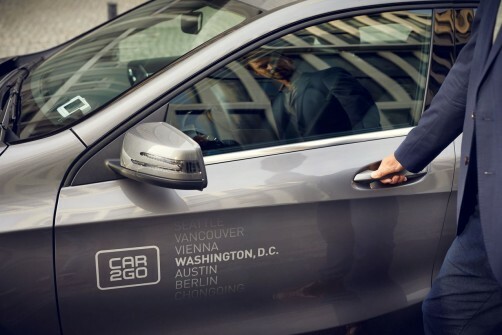 Reserve a car2go as soon as your plane lands via the car2go app. Go to The Parking Spot stand in the arrivals area. Before boarding shuttle, confirm that your car is reserved. The shuttle will drop you off at the car2go designated spaces. Return to the Home Area and end your trip at your final destination. Welcome home!